Follow these tips for a safer, more secure mobile banking experience. Our CSB Mobile app provides a number of built-in security controls to keep your financial information safe. 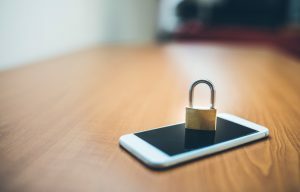 Encryption, biometric login, session timeouts, expiring passwords, account nicknaming, and account number truncation are all used to help keep your mobile banking data private. For the highest security, we encourage you to also follow the best practices below. Invest in an antivirus application for your mobile device to help protect you when downloading apps or mobile content. Never provide personal identification or banking information over your mobile device unless you initiate the contact and you know that you are dealing directly with your bank. Never share your password, account number, PIN or answers to secret questions. Do not save this information anywhere on your phone. Enable a screen lock on the phone that requires a password, fingerprint or pattern to unlock it. Remember, your bank would never contact or text you asking for personal or banking information. Assume any unsolicited text request is fraudulent. Giving this information places your finances and privacy at risk. Immediately tell your mobile operator and your bank if you lose your phone. For additional information about protecting your cell phone, read our Smartphone Security tips.